Donald Trump: Agrees with Hillary on cautious approach to legalizing pot. Hillary Clinton: Hillary: invest in green energy; Trump: that's cronyism. Gary Johnson: OpEd: "Never Trump" legitimate conservative alternative. 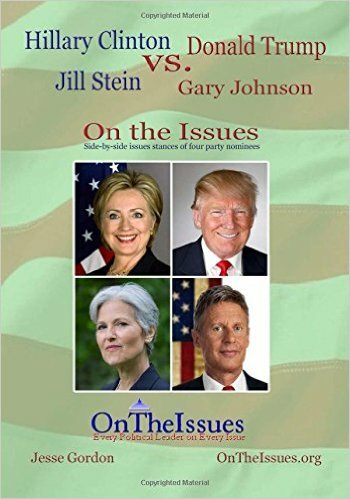 Jill Stein: OpEd: mainstream media ignores Greens unless they hurt Dems.